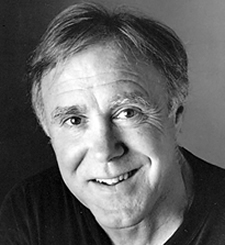 Robert Hass is an American poet and former US Poet Laureate who has won many awards. He was one of my favourite professors at UC Berkeley, and introduced me to Seamus Heaney. Some things are worth waiting for. 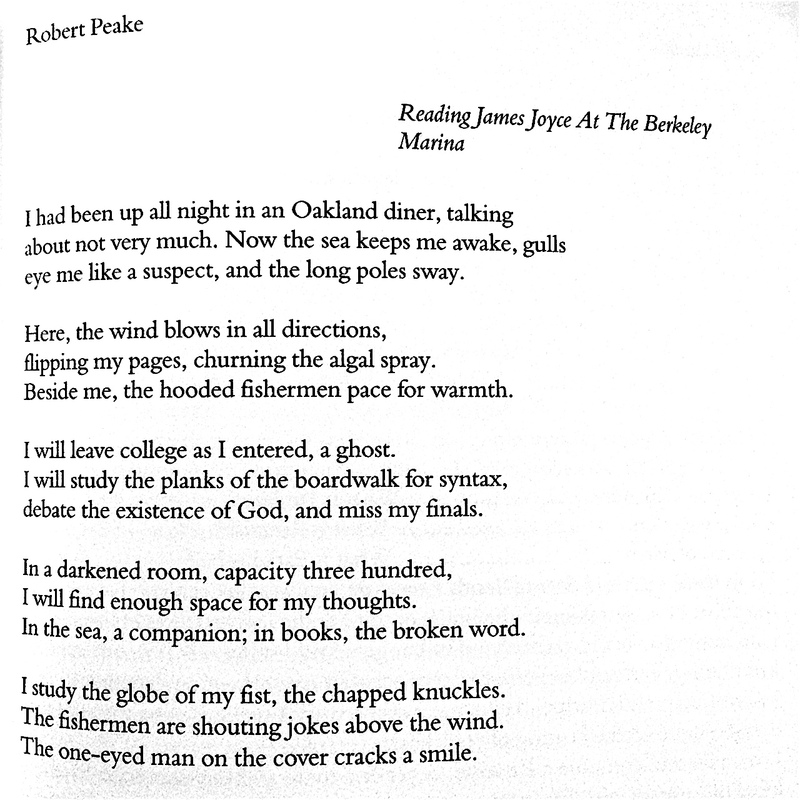 I submitted “Reading James Joyce at the Berkeley Marina” to Berkeley Poetry Review in January 2013, and it was accepted in August that year. However, due to the Editor-in-Chief’s struggle with a major illness, my contributor’s copy just found its way through my mail slot here in England this morning. This issue is a tome, featuring poets from Ashbery to Hass, filled with terriffic historical documents, letters, concrete poems, and sketches. It is a kind of tribute to Berkeley’s intellectual and artistic history in its way. Needless to say I am eager to get stuck in to it. “Meditation at Lagunitas” is a classic Robert Hass poem. The reading experience is similar to that of some of his other best poems: what seems causal and at times abstract ends up fusing into something transcendent. Hass is an expert at successfully and convincingly dropping in bold, general statements, as in the oft-quoted opening of this poem: “All the new thinking is about loss. / In this it resembles all the old thinking.” His success from this point on depends on his ability to simultaneously veer wildly away from this central idea into specific detail and lyric refrain — and yet contain and encompass all his seemingly unrelated musings within this expansive theme. Hass alternates between philosophical statements and strong, carefully-chosen images, upping the ante each time. The first pairing is: “The idea, for example, that each particular erases / the luminous clarity of a general idea” with the image “[t]hat the clown- / faced woodpecker probing the dead sculpted trunk / of that black birch is, by his presence, / some tragic falling off from a first world / of undivided light.” Here abstraction and specificity fuse in the first moment of elaborating on the theme of loss. The second example only escalates and develops this theme with “…the other notion that, / because there is in this world no one thing / to which the bramble of blackberry corresponds, / a word is elegy to what it signifies.” Again, drawing on the detail of nature (ostensibly details gathered from Lagunitas), Hass develops the theme of loss outward into the ineffable — into the marvelous idea of naming (an archetype, as in Adam from Genesis) turned on its head to be a kind of elegy, or consolation for loss.